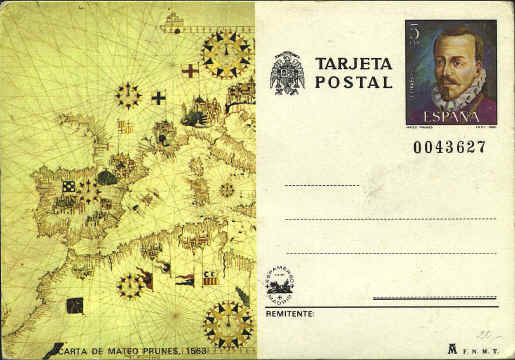 Matteo Prunes (1553-1590) and his brothers, Joan and Battista, were Catalan chart-makers from 1532 to 1560. 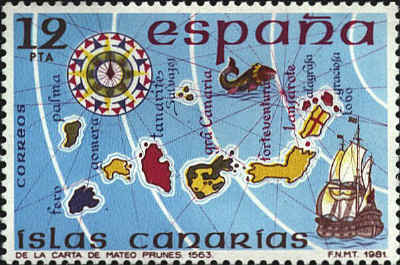 The Canary Islands shown on the stamp appear on the lower left-hand edge of the postal card. 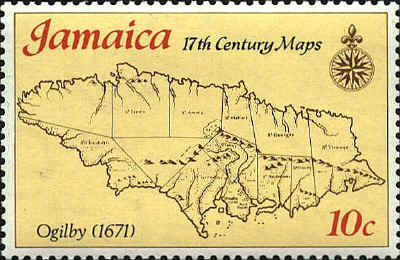 The chart, dated 1563 on both the card and the stamp, was published in Carte Nautica del Mediterraneo.